The Stella’s Place Peer Support Training Program was designed with young adults, for young adults and offered for the first time in 2015. This practical and hands-on training program equips participants (aged 16 – 29) with the core knowledge and key skills they need to deliver peer support services with young adults. The program is offered by Stella’s Place and our partners (George Brown College, CMHA Toronto, the Gerstein Crisis Centre). Although the length of the program varies, it is usually about 60 hours of training sessions and 40 hours of individual and group work over 8 to 12 weeks. Stella’s Place believes in ensuring safety, respect and the development of a positive, strength-focused and supportive culture for learning and success. The program is focused on specific skills and knowledge required by peer supporters. The skills and knowledge areas are based on young adult input, as well as on the Peer Support Accreditation and Certification Canada competencies. Stella’s Place Peer Support Training Program recognizes that people learn differently. Our program includes many different ways of teaching, practising and sharing. The program includes scenarios, role-playing, small and large group discussions, multimedia, creative expression (such as writing, art, music) and opportunities for practising skills. The program typically runs on Saturdays from 10am – 4:30pm (but never on long weekends). The Peer Support Training Program evaluates participants in a strengths-focused manner, without assigning marks or grades. Participants are asked to regularly reflect on their learning both during the sessions and in between sessions, and submit reflections or other learning exercises that indicate the participant’s learning, progress and growth. Peer Mentors and Training Coordinators also provide strengths-based feedback throughout the program so that participants can continue to build their confidence, skills, knowledge and practice. The Peer Support Training Program is free of charge. Who will be teaching me and supporting my learning? 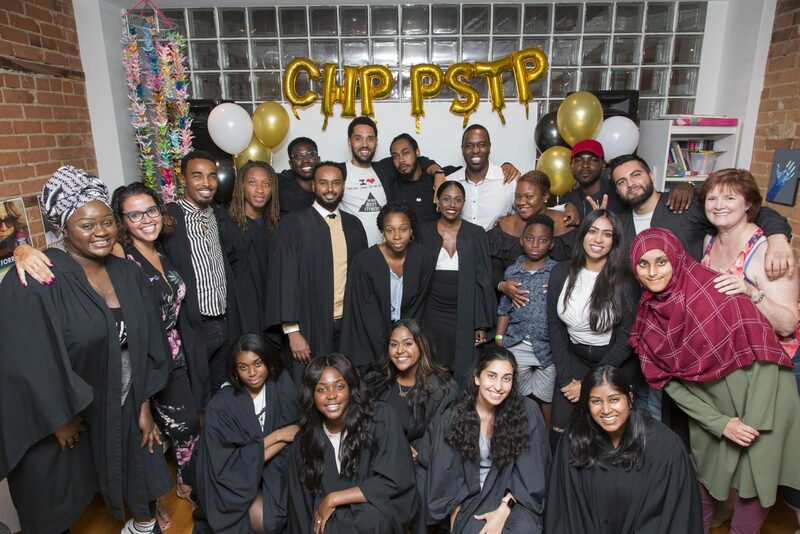 The Stella’s Place Peer Support Training Team supports the program’s participants to build community, share learning and knowledge and provides in-session support. Peer Mentors are individuals who have lived experience and currently work in the field as peer supporters, bringing their knowledge, skills and passion to program participants. Peer Mentors facilitate and contribute to small and large group discussions, provide resources as required and help build group safety and trust. Training coordinators support participants by compiling curriculum, arranging food and other supplies and ensuring that learning accommodations are in place before and during the program. Training coordinators are always available to listen to and respond to feedback when appropriate. Facilitators may come from within the Stella’s Place network or may be from one of our many partner organizations. Facilitators are chosen for their expertise in their field along with their ability to partner with young adults to provide a rich, engaging and interactive learning experience and to support participant success. This sounds awesome! How can I join in? Asante Haughton, Peer Development and Training Manager at [email protected]. In addition to having lived experience of mental health challenges, developing a peer support practice requires training and skills development. Stella’s Place offers a Peer Support Training Program in partnership with George Brown College. Other training may be useful to you too. safeTALK is an alertness training program that prepares anyone over the age of 15 to become a suicide-alert helper. safeTALK-trained helpers learn to talk to someone who may be thinking about suicide and to take action by connecting them with life-saving intervention resources. ASIST provides a two-day Suicide Intervention training and certification for individuals who wish to learn skills to intervene when an individual is at risk of dying by suicide. WRAP II: Individuals who have completed a WRAP program may be eligible to complete WRAP facilitator training to gain skills and experience necessary to facilitate WRAP groups. Peer Support Group Facilitator Training The Self-Help Resource Centre offers introductory and advanced level workshops for individuals wishing to build and expand their skills in facilitating self-help and peer support groups. We utilize our experiences in recovery to assist the peer in developing their own recovery tools and navigating the mental health system. Participating in the peer support program has helped me share my lived experience in such a way as to develop confidence, balance and a sense of meaning in my life. As a peer supporter, I must recognize that I too am in the lifelong journey of recovery and must also be compassionate with myself. It's about not only helping people through what they're going through but showing that there's something worth fighting for at the end of the tunnel. That not only is there something to work for but that it's an achievable goal, that we're proof that it's something we can all do. One of the most defining moments for me was simply just being surrounded by people that understood or could relate to me because of their experience. Learning about drawing on your own experiences in order to help someone who you are supporting was very important for me. It is strange in a beautiful way to be able to use moments that I believe were moments of weakness for something great. Step out of the box and share with others and listen to new points of view. I’m not made for any other type of work.